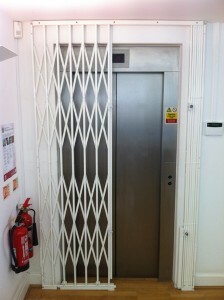 Alexandra Locksmiths have supplied and fitted a collapsible security grille for a company in Central London. 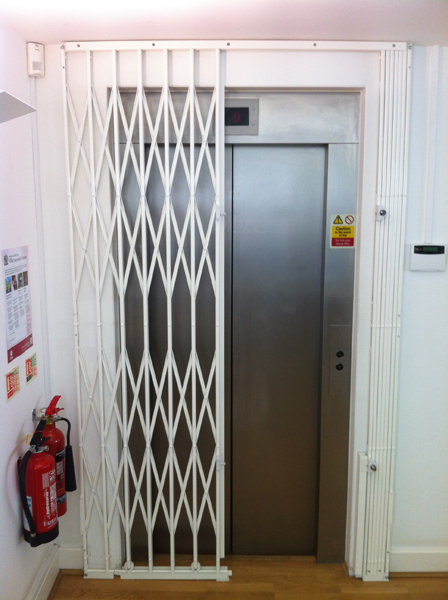 Our clients had a lift which went from the buildings main reception and opened straight on to their office floor and wanted a grille that could be closed when their office was closed but could be opened when their office was open. 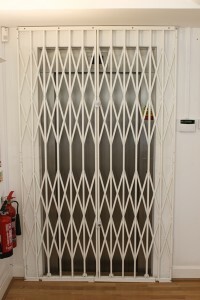 A collapsible grille was the best option best in this situation. Alexandra Locksmiths provide locksmith and security services, we supply and install bar gates and grilles, intercom systems, access control and safes to London and the surrounding areas.